“Maybe someone needed a granny” turned out to be rather prophetic . On Sunday 26th June we made the horrible decision to have Lucy put to sleep. There was nothing else that could be done, she had fought hard for her short three weeks of life and it was time to call it a day. To be honest this year has been pretty rubbish so far and I can only hope that the second half is an improvement on the first. Who’d have thought it? Martin being mentioned in the Dressage pages of Horse and Hound! Written up as a bit of a Guru in ‘Against the Odds’ last week, it says “Martin doesn’t get into confrontations; he just quietly sits out the tantrums.” This is very true and probably why Lily so gently placed him on the floor before laying on him. Respect! I have now discharged myself and the horses from the chiropractors for a while. We are taking very gentle steps between the three of us but I feel like we are making progress. Lily is improved but it is still rather fragile and I think there are also bitting issues that I need to resolve. Harry on the other hand feels like a totally different horse. He is having very few angry moments and is generally much looser than before. I jumped him this week and he felt amazing, really up for it and stretching his head and neck. Quite bizarrely he has also enjoyed being groomed for the first time ever, pulling nice faces and saying ‘ooh yes, just there’. Totally unreal, we’ve been fighting with him for three years! But then the third time I saw my chiropractor I was so wiped out that I could barely put one foot in front of the other for two days. Half an hour of gentle tapping and tweaking and I felt like I had the flu – I don’t really understand it so I’m starting a rumour that they cut up frogs for the cauldron…. Jasmine and Kevin continue to improve their scores with a 64 and 66% at Step by Step BD last week. They had been stuck in the 58-60% doldrums when I started helping in November last year and I am really pleased that we are starting to see the benefit of our work. Her other ride Reggie has also pulled out all the stops and recently produced a personal best for Jasmine of 68% – happy faces at last! 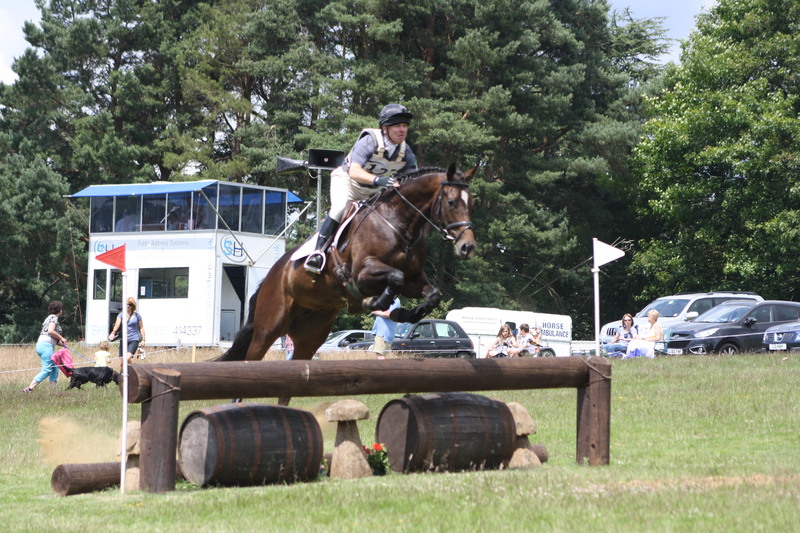 Tinka and Martin went to Eridge last Saturday for the BE90. She was a little excited about the dressage but it was improved on the last test, jumped a fantastic clear SJ and was going great guns on the XC when she lost a shoe and missed the turn to the second last fence. Bless her, she didn’t even realise she was supposed to be turning let alone jumping. To add insult to injury she would have been third! So although a little disappointing we are really pleased with how she is coming on. She seems well up for the job and is really smart! Louisa was at the Stilebridge dressage championships last Sunday and despite it only being their fourth Novice test, they came 3rd with 67% Top effort, he is really starting to look the business! While we were jumping at Carmen Court four of our North West Kent Pony Clubbers (Ellie, Morgan, Sally and Elize) all passed their C+ tests – well done girls!